Adelaide Comets came out of Friday nights encounter against Croydon Kings with a 3-2 win in a fiery contest which saw both sides reduced to 10 men. 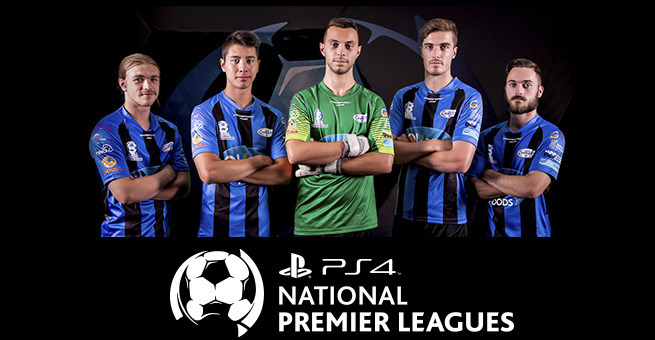 It was a tense opening to Round 2 of the PlayStation 4 National Premier League South Australia with 4 out of the 5 goals coming from dead ball situations, while Comets’ Apostolos Stamatelopoulos and Croydon’s Nick Munro were both given straight red cards. Evan Kostopoulos had a double and Oliver Zafridis added a third for the home side, while Captain Luke Klimek and Rocky Visconte got on the score sheet for the visitors. Comets’ Jack Bladen said it wasn’t one of his side’s better performances, but was happy to come away with the three points. “It was a pretty hotly contested game, there were a few moments that changed the course of where it was heading. 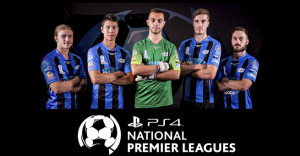 Bladen said that confidence was high at Mile End, with maximum points taken from the opening rounds against some of the NPL’s premier opposition. “There’s a buzz in the change room and the boys are feeling pretty confident, but in the same breath we realise we haven’t been convincing and haven’t played anywhere near the best that we can play. Munro was given his marching orders with 5 minutes left on the clock in the first half which left winger Shaun McGreevy with no doubt that it had changed the entire complexion of the game. “I thought we were the better team 100%,” he said. “As soon as the referee sent Nick Munro off it changed the whole game, I really don’t think he deserved it. “Costa (Zacharopoulos) our second ‘keeper made some really good saves and he did really well, however going down to 10 men and having to bring on some fresh legs up top was just really poor. Croydon showed a lot of hustle to come within a goal, a positive which McGreevy believes they can take into next week’s clash with bottom-placed Raiders. “Our heart and determination to get it back to 3-2 was tremendous. “I thought the boys dug real deep and did really well to get it back, and if that’s where (Comets) are at and we were able to do that with 10 men I think we’ve got nothing to worry about. It was an even opening to the night’s proceedings as both sides created plenty, with Andreas Wiens looking lively down the right hand side for Comets and Elvis Kamsoba seeing plenty of the ball on the left for Croydon. Croydon’s Captain, Luke Klimek, broke the deadlock on 26 minutes with an expertly placed strike into the top corner from around 25 yards out that left John Solari with absolutely no chance. The Kings stood firm at the back as they thwarted numerous attacks from the home side, but they were caught out when Kingsley Francis picked out Kostopoulos inside the six yard box with a cut back, however the Captain saw his shot deflected out for a corner. It was then that the game was flipped on its head as Munro was sent off for an apparent elbow, sending Kostopoulos to the spot who finished low into the bottom corner in the 43rd minute. Oliver Zafridis put the home side in front in first half stoppage time with an audacious chipped free kick from the corner of the 18 yard box, leaving Zacharopoulos with no chance. Comets came out in the second half with a firm grip on the match as the numerical advantage began to play into their favour. Kostopolous got his second on 53 minutes with a strike similar to Klimek’s opener from a dead ball situation, which seemingly put the game beyond doubt. Visconte had other ideas though as he drove a free kick low from 30 yards out just beyond Solari’s reach with 23 minutes left on the clock to bring the visitors within a goal. Comets had plenty of chances to give themselves a two-goal cushion however they failed to take them, which almost proved costly as Stamatelopoulos was shown a straight red for a dangerous tackle on Nathan Farrell, evening things up with the minutes ticking down. Farrell almost brought the scores level in injury time with a long range shot inside his own half, but it was to no avail as the home side held on to claim all three points.